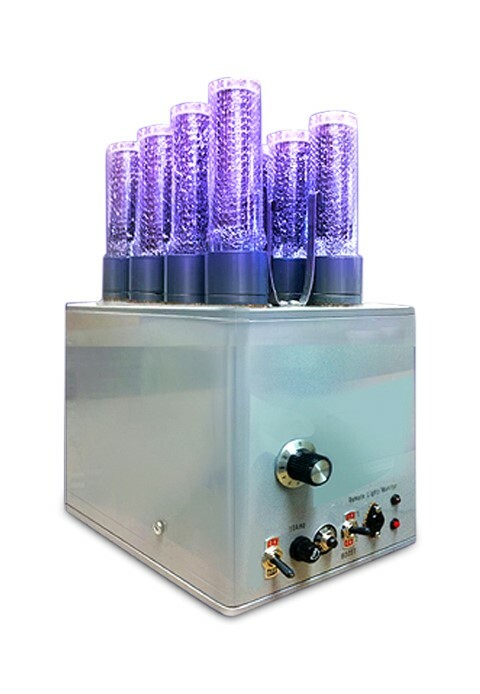 Learning how the How The Bio-Oxygen Air Treatment System Works is the ideal way to know if it is right for you. The Bio-Oxygen Process is the most natural of processes because the same process occurs in nature. In nature, the sun emits clouds of electrons and showers the earth and the solar system with electrons. The electrons from the sun can only be absorbed by the oxygen in the atmosphere because oxygen is the only gas that is ‘paramagnetic’ and is able to absorb the electrons from the sun. As the oxygen molecules gain extra electrons, they become magnetic and agglomerate into Oxygen Clusters consisting of 2, 3, 4, 5, 6 etc. oxygen molecules. Oxygen Clusters are reactive and clean the world’s atmosphere of all the pollution produced in the world. Therefore, a Bio-Oxygen unit acts like a miniature Sun in the air conditioning ducts. The Bio-Oxygen Process requires no Perfumes, Disinfectants, Chemicals or Catalysts and none are used. 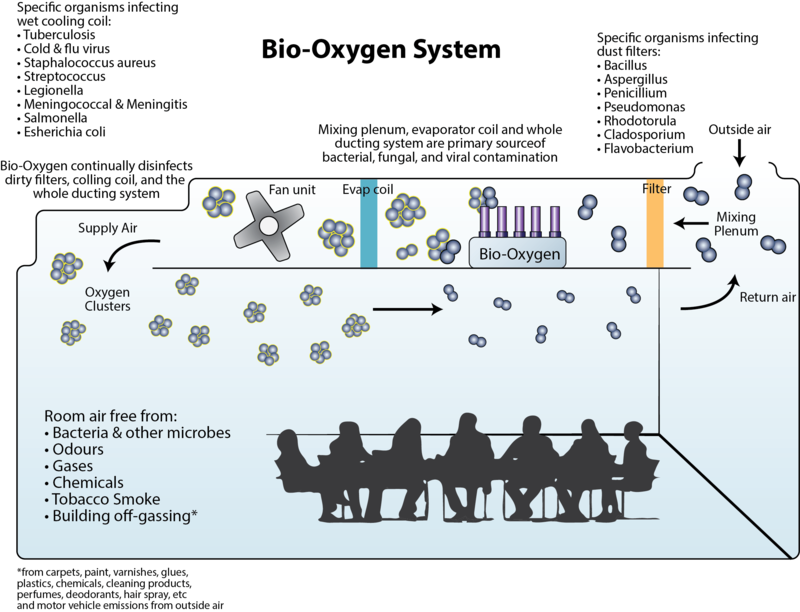 Bio-Oxygen does not incorporate a Carbon Filter. We require only clean ambient air. Masking bad smells does not take care of the problem that has caused the odor. At bio oxygen we solve the problems at the source. Our range of products can be combined and configured to best suit your location and existing system. Our approach combines cutting edge technologies and tried and tested air filtration methods to achieve the cleanest air possible. We take the tome to understand your needs and your legal obligations as far as air purification. You will find our approach consultative, transparent client focused. Your consultation includes informative information from certified air purification experts, and we deliver reliable systems that perform as agreed, with a solid team to provide you with the after sales service you have come to rely on with bio oxygen. The bio oxygen range of air purification systems are compact as well as being incredibly energy efficient. Their reliability has been proven in the most demanding of commercial situations and our reputation for a high quality air purification system is well known. Our design and construction is done in our Sydney location and our product is installed in some of the worlds largest constructions.